UPatch alters BASE game scripts and makes GOTY and non-GOTY games identical. Contains only official scripts and fixes which are available to GOTY users. - name and purpose changed to unification patch for making GOTY and non-GOTY versions identical. Russian patch description — Описание патча на русском языке. Version 1.31A (GOTY 1.31A) is the same as 1.31 (GOTY 1.31) modding-wise, because it only affects GOG Galaxy integration: it adds Cloud Saves service to the game. Install and uninstall procedure for A version is the same as for non-A version. Version 1.32 is the same as 1.31 as it only adds Simplified Chinese language support and soesn't affect existing mods or this patch. The patch contains only official 1.31 and 1.31 GOG GOTY scripts and only official fixes which are available to GOTY users. If you have non-GOTY version of the game, installing the patch will make your game almost identical to GOG GOTY. If you already have GOG GOTY version of the game, this patch will ensure your game is backwards compatible with non-GOTY while still keeping all GOTY changes and fixes. In other words, Unification patch makes both game versions identical, allows mod makers to release single version of their mods and saves mod users from mod version/game version conflicts. Do I need this patch? Yes, it is needed for all versions of the game. Why do I need this patch? To prevent compatibility issues when using script mods. Which mod version should I use with Unification patch? - If the mod you're trying to install supports Unification patch, you should use Unification patch version. - If it doesn't have Unification patch version, but has GOTY version, you should use GOTY version. - If the mod doesn't have Unification patch version or GOTY version, use 1.31/1.30 version. Some 1.31/1.30 mods might work with Unification patch and some might still create merging conflicts. You can either resolve these manually (see below) or post a request in comments section. WARNING! Do not install this patch with NMM/TW3MM! Manual install is required as it is not a mod, but a patch that requires you to overwrite some of the base game scripts! To install the package copy both "content" and "Mods" folders to your <Path To The Witcher 3> folder, replacing files when prompted - make sure to select "Copy and Replace" option and not "Copy, but keep both files" option or something else! Re-merge all your Script Merger script merges if you had any. Note: your game should be updated to latest official patch before you install Unification patch! 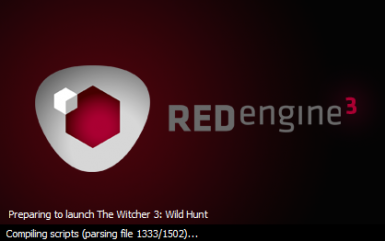 If you want to revert back to your 1.31 non-GOTY version, download "Base 1.31 scripts" and copy "content" folder to your <Path To The Witcher 3> folder, replacing files when prompted. Then go to your <Path To The Witcher 3>\Mods folder and delete mod0000____CompilationTrigger folder. Re-merge all your Script Merger script merges if you had any. If you want to revert back to your 1.31 GOTY version, download "Base 1.31 GOG GOTY scripts" and copy "content" folder to your <Path To The Witcher 3> folder, replacing files when prompted. Then go to your <Path To The Witcher 3>\Mods folder and delete mod0000____CompilationTrigger folder. Re-merge all your Script Merger script merges if you had any. - base scripts for both game versions will be identical. - 1.31 GOG GOTY: often referred to as just "GOTY", it's unique to GOG platform. - Steam 1.31 GOTY: it's a bundle that consists of the base 1.31 game and all DLCs. It's not the same version as GOG GOTY! - Steam/GOG 1.31: regular game version often referred to as "non-GOTY". - 1.32 update is the most recent (11/06/2018) update released by CDPR for Steam and GOG that adds Simplified Chinese language support. 1.32 is no different from 1.31 modding wise. So, there are essentially two versions of the game: 1.31 GOG GOTY ("GOTY") and 1.31 ("non-GOTY"), but since packages are named differently in both Steam and GOG, it's often hard to determine which one you have. - GOTY is the Game Of The Year Edition which is exclusive to GOG platform: here it is. You only have GOTY if you have this exact game bought and installed. All the other versions are non-GOTY, no matter what their description or greeting messages say! - If you own base game + all expansions on GOG you should also have GOTY version in your library as CDPR gifted it to all base game + all expansions owners. You don't have GOTY if you don't have this gifted game installed. Note that GOTY installs into separate folder and you have to remove your non-GOTY version before installing it (make sure to backup your saves before uninstalling non-GOTY and installing GOTY). If you choose not to use gifted GOTY version of the game - then you still have non-GOTY. - If you bought GOTY package on Steam, you don't have GOTY version of the game - Steam GOTY is a bundle, which consists of the base game + all DLCs, so no matter the description it is still non-GOTY. - If you have the base game + all DLCs on Steam - you have non-GOTY version of the game. - If you have base game only or only one of the two paid DLCs on either Steam or GOG - you have non-GOTY version of the game. Note that after 1.31 patch all non-GOTY users see GOTY greeting message the first time they launch the game if they have all DLCs installed. CDPR claims GOTY is no different from non-GOTY content wise - and this is true for the most part. Minor differences in the main menu are non-essential, but they do create modding problems and compatibility issues. The main source of merge conflicts between non-GOTY and GOTY versions are menu related scripts. Problem is that menu related code is not restricted to menu scripts but is also present in generic r4game.ws file that is used by mods sometimes not even remotely related to menus (like experience mods, for example). The nature of menu related changes in GOTY does not allow for auto-merging in Script Merger and partial merges with manual conflict resolution result in broken script if user has no experience with TW3 code. If you have such a problem, this patch will help you to resolve it and mods will auto-merge properly after installing it. Note that some mods might still have merging conflicts, but they will be easier to resolve: watch out for keywords like GOTY message, DLC available, NG+ available, menu type in scripts and if you have conflicts where these are present, choose A (base game) and make sure the code around that conflict in your merged file is identical to the code in A (delete auto-inserted lines from B and C if necessary).